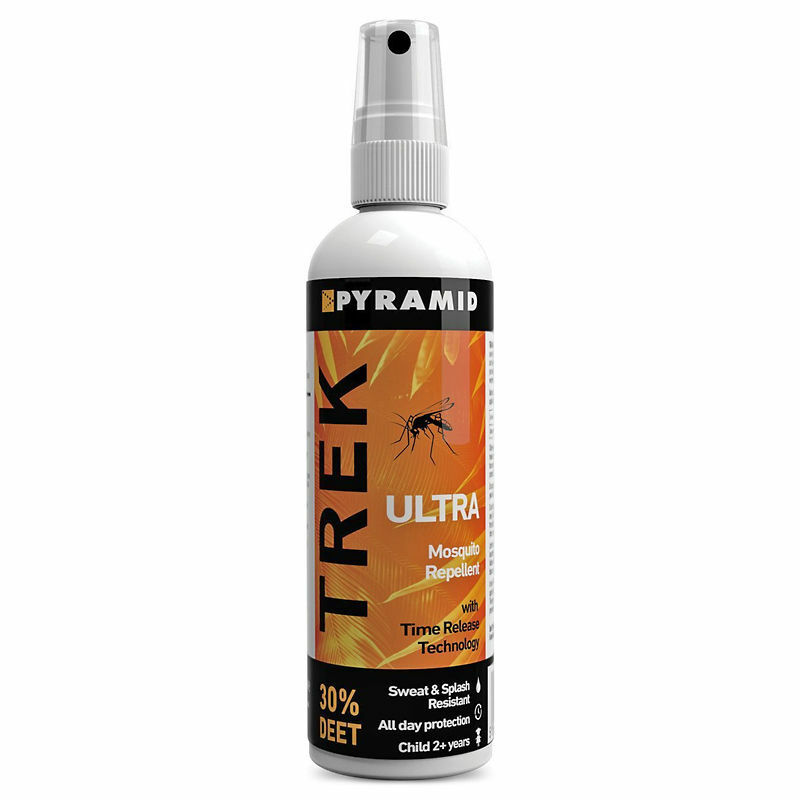 Pyramid Trek Ultra Insect Repellent is one of the most advanced insect repellents on the market today and is ideal for use in extreme, tropical conditions. 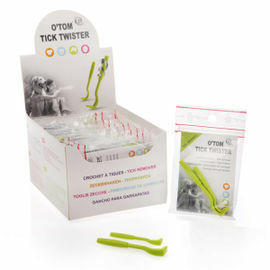 One application can provide up to 12 hours of protection from biting insects, thanks to its use of time-release technology and 30% micro-encapsulated DEET. DEET has been effectively used as a mosquito repellent since 1946, protecting against the risk of Malaria and other diseases such as Dengue Fever, West Nile Virus and Chikungunya Fever. Pyramid Trek Ultra is sweat and splash resistant, and can be used on children age 2+ years. Apply up to twice daily in the morning and early evening by spraying directly onto exposed areas of skin, taking care to avoid the eyes, mouth and palms of the hands that could cause ingestion of the product. Repels mosquitoes, midges, ticks, sand flies, black flies, stable flies etc. Pyramid Trek Ultra Insect Repellent - 100 ml Pump Spray is rated 5/5 based on 5 customer reviews. It works as advertised, 30% DEET is enough to keep mosquitoes and gnats away, it doesn't work on horseflies (at least not the ones in Norway). My criticism goes to the pump mechanism; I thought this was a spray-on, but the nozzle doesn't produce a mist type stream, so you must spray the palm of your hand and then apply it to your face etc, this leaves your hands sticky. 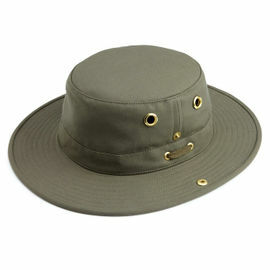 I ended up spraying the brim of my bucket hat and then rubbing my face on the brim. The bottle size is perfect. Worn a few times and no bites. Comes out as a squirt not a mist so you have to squirt the milky solution into your hands to apply. I've used many an insect repellents in my time but this has to be without question the best. Fantastic piece of kit! I took it with me on a trip to Scotland to battle the famous midges and it was brilliant, unfortunately they still land on you no matter what, but I got no bites whatsoever in the places I used this. I would recommend using it with a head net as well. customer service/postage amazing as usual from Woodlore.